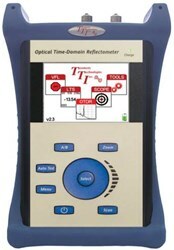 This OTDR has been designed for use as a day-to-day unit. Four different models are available in this product line: An 850/1300nm dual multi-mode version, a 1310/1550nm Dual Single-mode version, a Tri 1310/1550/1625 quad wavelength version, and an 850/1300/1310/1550nm quad wavelength version. Its aforementioned dead zone and dynamic range characteristics coupled with a one button fault finder make it especially well-suited for LAN network and metro network troubleshooting and testing. 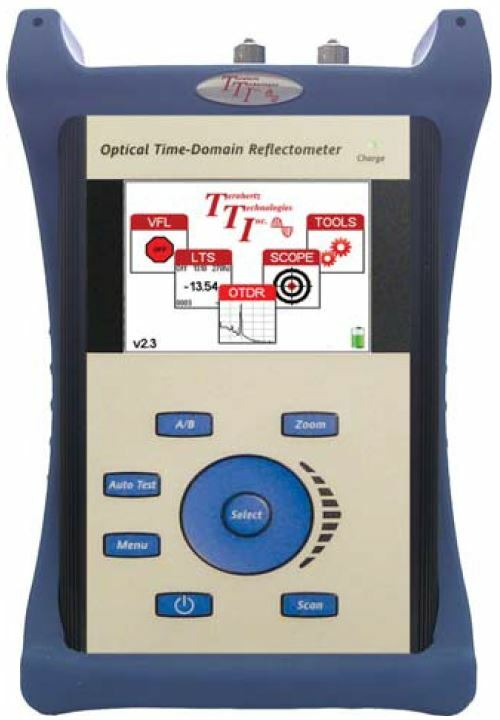 The FTE-7500A optical time domain reflectometer comes standard with a bright 4” color display, immediate start up functionality, a USB flash, internal storage, an event table with pass/fail threshold settings, and onboard context sensitive help. For more information, download the datasheet or contact Terahertz Technologies, Inc. directly.